Margaritaville Resort Biloxi located in the Mississippi Gulf Coast features 371 smoke free rooms and suites in a 23 story family-friendly resort, an authentic island-inspired experience with the resort's 450-foot Lazy River, two water slides, swim up bar, lounge pool, splash pad and rope traverse. The resorts indoor Family Entertainment Center, Escape, features a 48 foot Volcano Rock Climbing Wall, a Sky Trail ropes course, a Sky Tykes ropes course, the Cloud Coaster, two multi-game golf simulators, six lanes of boutique bowling and hundreds of arcade games. Food and Beverage venues include the LandShark Bar and Grill, a Margaritaville Café, 5 o'Clock Somewhere Bar, Doe's Eat Place - a James Beard steakhouse, The Lost Key Bar, a full service lobby bar, the Margaritaville Coffee Shop and the Sweet Shack ice cream shop. The resort also features a fitness center, ample meeting spaces, three private party rooms available for any occasion, and two Margaritaville Retail Stores. 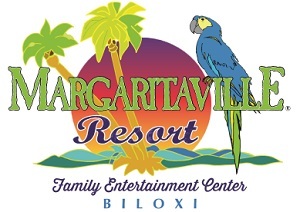 To visit Margaritaville Resort Biloxi's featured jobs on Casino Careers please click here.